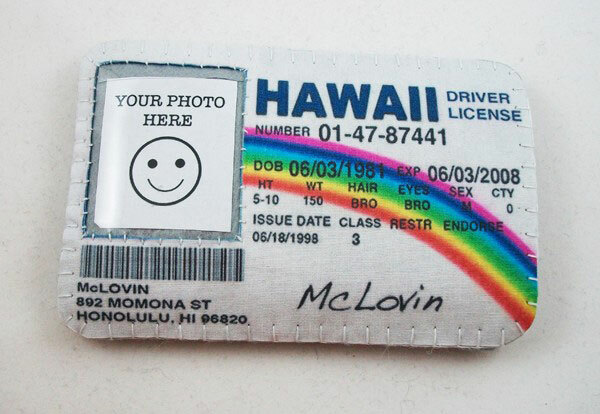 If your a fan of Superbad, then you will love this fun McLovin Fake ID iPhone Case, which even comes with a slot for you to insert your photo to complete your fake ID. A full color photo is printed on high quality 200 thread count 100% pure cotton photo fabric. Image is then adhered with heavy duty adhesive to quality wool/acrylic blend felt and then treated to resists stains and fraying. The front has a clear vinyl portion bonded and stitched in that has a cut slit to insert your own image, image size should be aprox 1.5″ x 1.75″ for optimal fit. Back is solid silver/gray felt as well as inside. Item is hand cut and hand stitched. 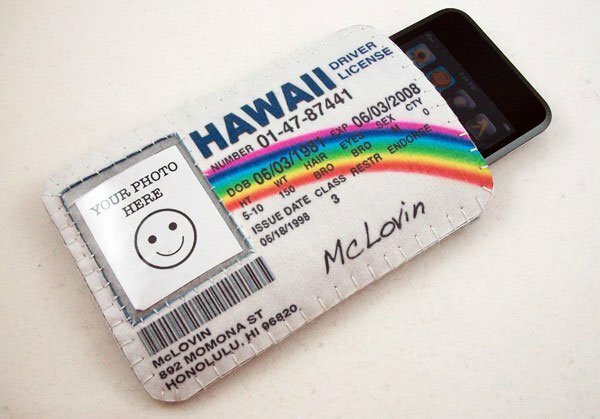 The McLovin Fake ID iPhone Case will fit the iPod 4th and 5th generation, plus the iPod Classic, and the iPhone 3G and 3GS, if you want one they are available to order for $24 from Coolbeans717 shop over at Etsy.